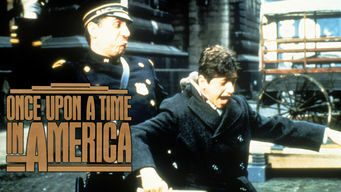 How to watch Once Upon a Time in America (1984) on Netflix USA! Yes, Once Upon a Time in America is now available on American Netflix. It arrived for online streaming on October 3, 2018. We'll keep checking Netflix USA for Once Upon a Time in America, and this page will be updated with any changes. Director Sergio Leone's sprawling crime epic follows a group of Jewish mobsters who rise in the ranks of organized crime in 1920s New York City. Youthful delinquency sets off a lifetime of crime, ambition and betrayal for two childhood friends in old Brooklyn.